A lot of people are flabbergasted when they discover I adventure solo on some of my trips.”Why? !,” they sputter. Why not? is my usual response. This sounds totally cliche and overused but loneliness really is a state of mind. Yes, I’m alone but I’m not lonely. 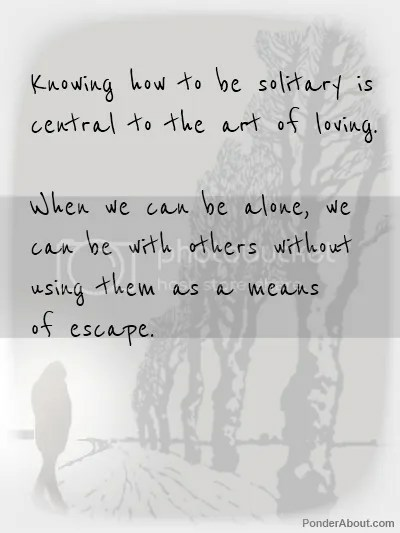 Reveling in my own solitude is more like it. People are so afraid of being alone + lonely. It’s like some constant terrible fear they are running away from. With social media, technology, and FOMO (fear of missing out) syndrome, it’s no wonder everybody seems to doubt how traveling (or being) alone can be wonderful. + Traveling alone is a choice. Make the decision to go solo and embrace the adventure that arises. Don’t forget that a smile is universal and it is (relatively) easy to make friends wherever you go. I’ve made friends with my AirBnB hosts + joining a day tour or just by chatting to someone on the bus or train. There’s also the option of staying at hostels + using your social network to meet up with friends of friends. If you are more on the shy side or never been so alone — then it is an opportunity to challenge yourself. // Get out of your comfort zone & into the “danger” zone. You won’t regret it. There will be that moment when you feel alone. Loneliness will be an unwelcome visitor at times. So BE lonely. Soak it in. Feel it in this moment because just like everything else, it is fleeting. I do so many fun things by myself and I never feel like I am missing out, quite the contrary. As you said, I travel at my own pace, I am able to make changes to my plans at a moments notice, there is nobody to listen to do what most people, at least americans, do and that is complain about everything that isn’t as they wish it was. I am usually bummed out by the people I travel with for work and it has taught me that to truly enjoy a destination and the people then I should go alone. Keep going, Amy! If you have never been to Ireland you must go! The nicest most welcoming people in the world! And, I have to ask, why would it occur to you to do a handstand on the boardwalk on Mt Huashan?! Hi David – I agree that to truly enjoy a destination and the people there, it is best to go alone! Maybe because we like to observe? Absorb and quietly take everything in so we can’t or don’t have any time or desire to pay attention to anybody around us? haha. I’ve never been to Ireland but I REALLY WANT TO GO. Let me know if you have any tips or advice! I love this post! I have never taken a *big* trip by myself but I have traveled alone for work a few times and found the time by myself very freeing. There is something very carefree and doing, literally, whatever you want when you want. 🙂 I agree babe! So glad we get to have “alone time” because it’s really awesome – even in small doses.